ATTRACTIVE AND EASY TO FIND: PIN Inc. maintains its growth through a wide selection of products designed to meet consumers' expanding needs. New product development is how PIN Inc. spells success. Ã¢â¬ÅSignificant growth corresponds to the development of large-volume users and the strong diversity of fixtures, display systems and furniture to keep pace with our customers expanding needs and expectations,Ã¢â¬? says Harry Frnka, sales manager. Recent equipment acquisitions include a Holzma HPL11 panel saw, Homag KL 76 edgebander, Weeke BP150 and BP 175 machining centers, Homag BAZ30 Optimat machining centers with contour edging capabilities, Ligmatech MPP10 case clamp, Koch dowel insertion machine and an improved high-production laminating line. RAISING THE STANDARD: Mock Woodworking strives to provide high-quality architectural woodwork, made possible by qualified and dedicated employees. Ã¢â¬ÅQualified and dedicated employees are the key to any success we achieve,Ã¢â¬? says Douglas Mock, president of Mock Woodworking. Other elements adding to the companyÃ¢â¬â¢s success include solid strategic planning, a good customer mix and striving to provide high-quality work. Recent equipment purchases include a widebelt sander and an edgebander. The company has also expanded its finishing and shipping facilities. FURNITURE FOR YOUR CLOSET: Closet Works strives to match its products to users' personalities by installing closet organizers in homes, rather than in houses. Increased productivity has been a key factor in the success of Closet Works, according to Michael Carson, CEO. Ã¢â¬ÅOur productivity was improved with the addition of new machinery and new training techniques,Ã¢â¬? he says. Ã¢â¬ÅThe more we are able to retain employees, the more their experience and skills increase. As a result, we are able to train the trainer and have much greater consistency.Ã¢â¬? Recent equipment purchases include a Holzma HP 23 beam saw and three installer vans. CSM CabinetryÃ¢â¬â¢s success is closely linked to increased productivity. Ã¢â¬ÅWe find that the more we use our CNC machining center, the better our shop productivity gets,Ã¢â¬? say Christopher Migliaro, member of CSM Cabinetry. CSM has acquired an expansive array of equipment recently, including a Holz-Her Project 317 point-to-point, Accu-Systems dowel insertion machine, Schelling FM430 beam saw, Holz-Her 1436 SE PVC edgebander, Castle pocket screw machine, Dustek dust collectors and two JC Uhling HP 3000 case clamps. HOME SWEET HOME: Knight Kitchens specializes in custom cabinetry and room furniture, such as this spacious, functional and inviting kitchen. Marketing is one of the ways in which Knight Industries achieves its success. Ã¢â¬ÅWe have done this through increased exposure to our companyÃ¢â¬â¢s products by establishing a Web page,Ã¢â¬? says George Ritter Sr., president of Knight Industries, Ã¢â¬Åvideotape production of company operations, customer referrals and displaying company products at major home and trade shows.Ã¢â¬? The company recently added a Morbidelli Author 504 machining center, Streibig vertical panel saw, Dodds dovetailer, Binks spray booth, an air return system, Kraemer dust extraction system and Cabinet Vision software. Ã¢â¬ÅIncreased production has come about from equipment upgrades,Ã¢â¬? says Al Kommel, president, of Craig Frames. We have also expanded our plant from 16,000 square feet to 36,000 square feet. Currently under construction are another 16,000 square feet, which will bring the total to 52,000 square feet. This allows for better work flow, more automated equipment and a generally happy group of employees.Ã¢â¬? New equipment includes an automatic four-corner V-nailer which allows the production of 20 frames per minute, conveyor assembly lines, computerized matboard cutting equipment, upgrading of all V-nailing equipment and automatic, hopper-fed miter saws. Ã¢â¬ÅWe have to give credit to our sales staff for doing the tough job of matching sales to our production capabilities without underselling or overselling and trying to make the sale without always being the lowest bidder,Ã¢â¬? Ed Barbosa, co-owner says. Within the last two years, the company has added two CNC beam saws, 10 automated saw fences, optimizing software, a new sanding line, a high-speed moulder and material handling carts. For the fourth year in a row, Legacy Cabinets, purchased late last year by Republic Ind., appears in the WOOD 100. The company improved its sales from 1998 so significantly that it moved up 13 rungs over last yearÃ¢â¬â¢s no. 41 ranking. Legacy has added a Timesavers orbital sander in addition to bringing other machinery online. An expanded marketing program also has helped the company grow by forming partnerships with customers, producing solid and profitable relationships. Adding new products and increased productivity as a result of new and redesigned product development are two of the reasons Eagle Ind. is making its third consecutive appearance in the WOOD 100 survey. The company added several new pieces of production machinery, including a SCMI Concept 2000 tenon machine, two Morbidelli point-to-point machining centers and a Costa sanding machine. MAKING FURNITURE FUN: Funblock Inc. specializes in computer furniture for schools, children's play tables, school storage and carts and specialty toy display tables. Funblock has made significant equipment investments, allowing the company to increase productivity without having to increase its workforce. The company has added a SCMI Sigma 65 beam saw, a Weeke BP 80 CNC router, a Brandt KD 56 edgebander, a SCMI line-boring machine and a Gannomat Optima 21 boring machine over the past two years. Ã¢â¬ÅPurchasing this equipment has enabled us to do work that we never could have even thought of doing before,Ã¢â¬? says president Michael Crane. Ã¢â¬ÅThe equipment also has kept our labor cost to around nine percent.Ã¢â¬? AH Woodworks returns to the WOOD 100 after ranking 24th in last yearÃ¢â¬â¢s survey. The company posted nearly a 40% increase in sales over last yearÃ¢â¬â¢s totals. The company has doubled the amount of radio frequency molding equipment in the shop. 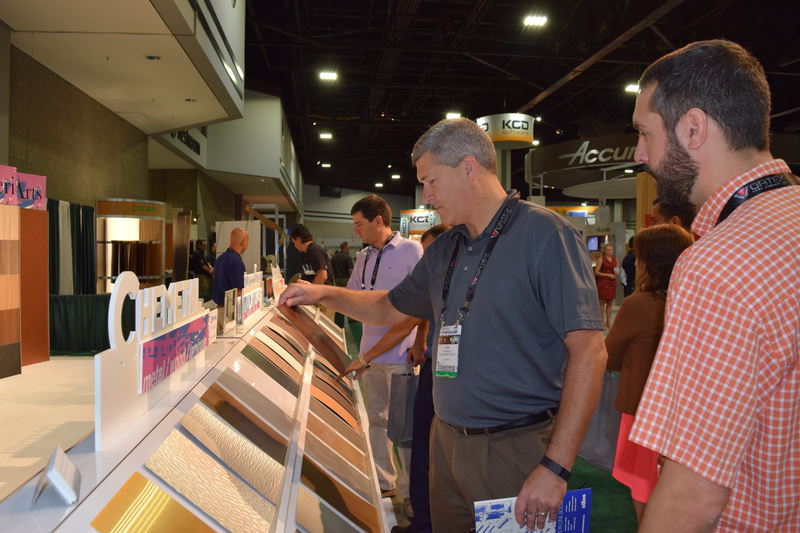 President Ken Stuckwish says the company will continue to add more technology and machinery to meet a growing demand for panels and plywood components. Ã¢â¬ÅWe have successfully courted several large companies as customers and through the development of new products, are able to provide them with extended product lines of display,Ã¢â¬? says director of operations Kim Murray. 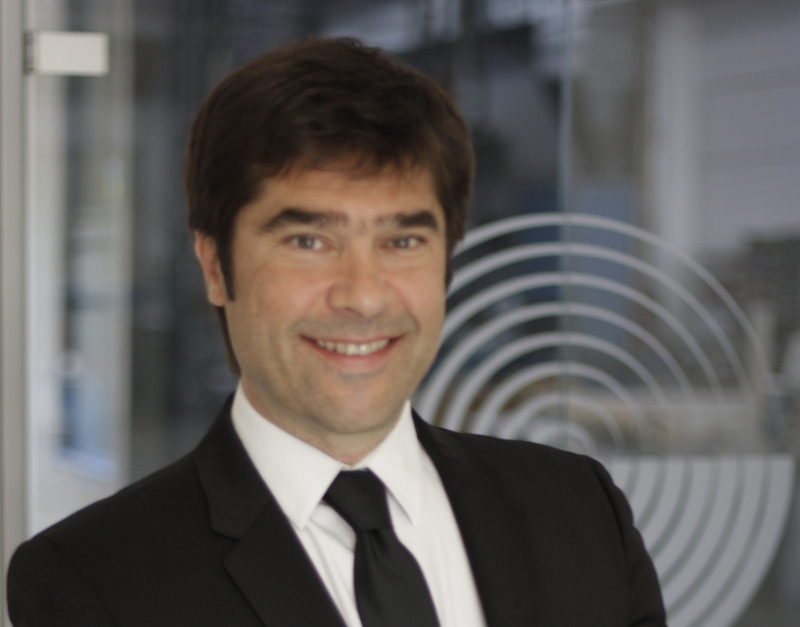 Ã¢â¬ÅWe are able to create a Ã¢â¬Ëcustomer for lifeÃ¢â¬â¢ cycle through product flexibility.Ã¢â¬? 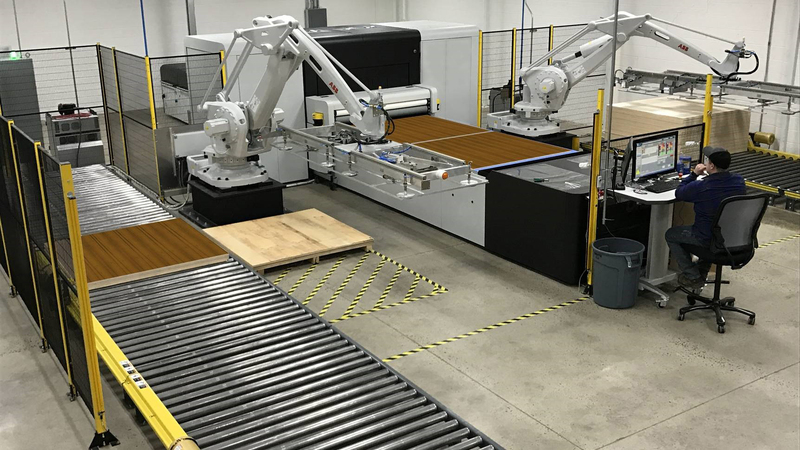 Mack Studios purchased a second CNC router with a tool turret as well as large format digital printers to improve product marketing. 33. WW Wood Products Inc.
WW Wood is in the Wood 100 for the sixth consecutive year, and seven out of the last eight. President Ron Wunderlich says the company has added a Progressive CNC single end machine with DII sanding equipment and a Cemco eight-head widebelt sander to improve productivity. WW also added three Jenkins CNC double-end shapers in preparation for capturing a larger share of the kitchen cabinet market. DIVERSIFICATION SPELLS SUCCESS: Up until 6 years ago, West Coast Cabinets worked exclusively in the residential area. Diversifying into commercial projects has helped the company grow and prosper.